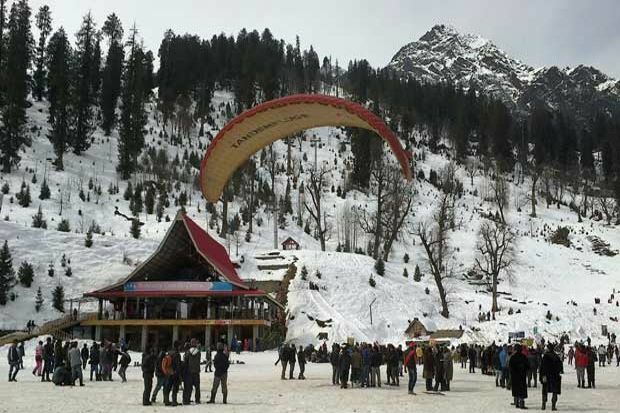 This part of Manali is changed a lot in last four years. This area is popular among foreign tourist and the entire market and the locality is changed to match the requirements of foreign guests. Cross Manalsu River Bridge to enter Old Manali area. To your right will be the club house where tourist can enjoy indoor games and witness exhibitions organized to sell garments and local products. 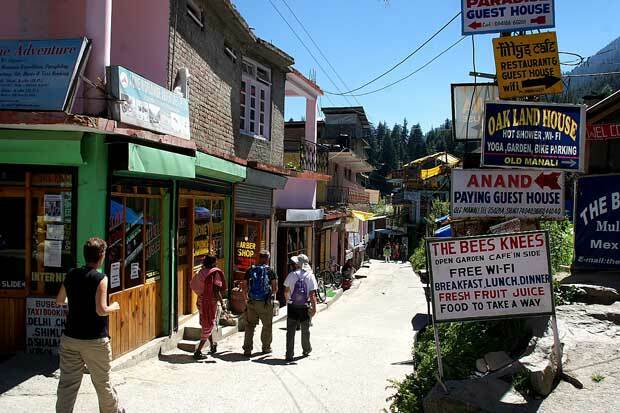 It is a mixture of old and new Manali. You can see traditional wooden houses of locals and concrete guest houses together. House are surrounded by apple orchards and almost all houses keep cows in their house. 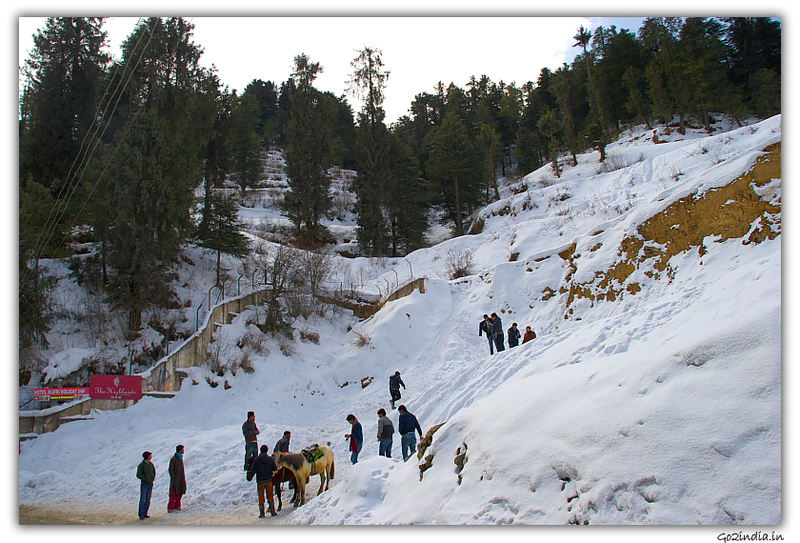 View of surrounding snow capped mountains and greenery around with pleasant climate encourage tourist to stay here for long duration. 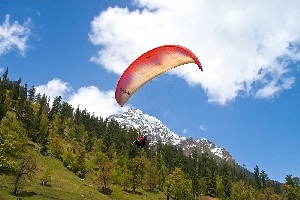 Foreign tourist visit Manali in large numbers and stay for long duration. 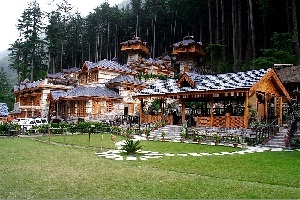 They prefer to stay in Old Manali area and some of them take guest houses with all facilities like kitchen, furniture and all basic items. 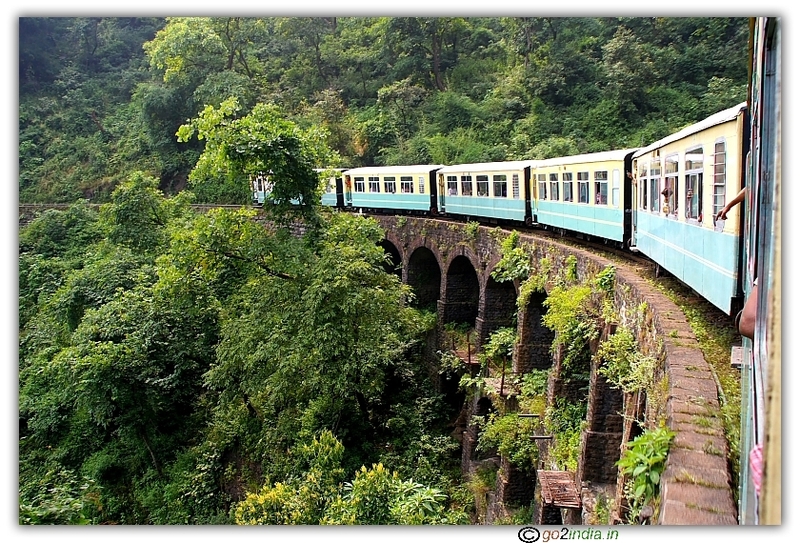 It is a good for tourist staying for long duration. All types of laundry and dresses are available. 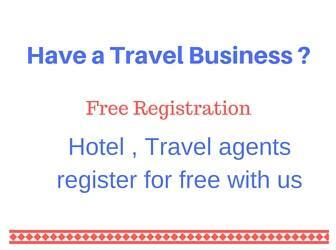 Hotels & resturants offer internet and free wi-fi to guests. All restaurants here serve Italian and other country foods and display their menu outside. On both side of the road you will find shops selling traditional craft bags and dresses. There are shops who give bikes for rent. You can take a bike and travel to short or long distances. These are 500 CC , bullet bikes and you have to pay Rs 1500 per day for the rent. You have to pay fuel charges based on your consumption and these vehicles gives 20 KM per litre. These owners prefer giving their vehicles for a group program with one backup / rescue vehicle at the last. Usually tourist prefers to take bike to Leh Ladak area after arriving at Manali. 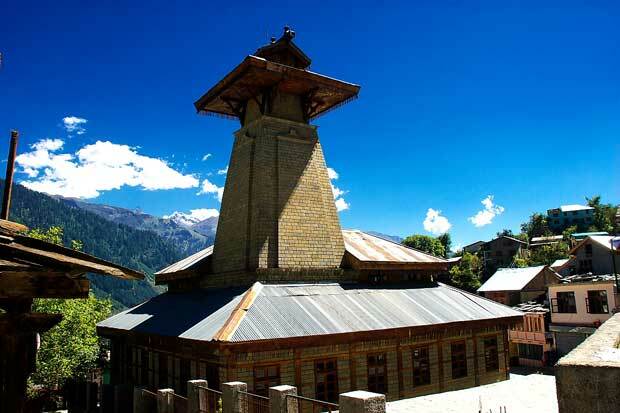 After passing through hotels, markets and guest houses developed to match the requirments of foreign tourist you will reach Manu temple. 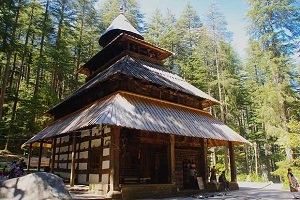 This temple is recently remodelled as a new temple. 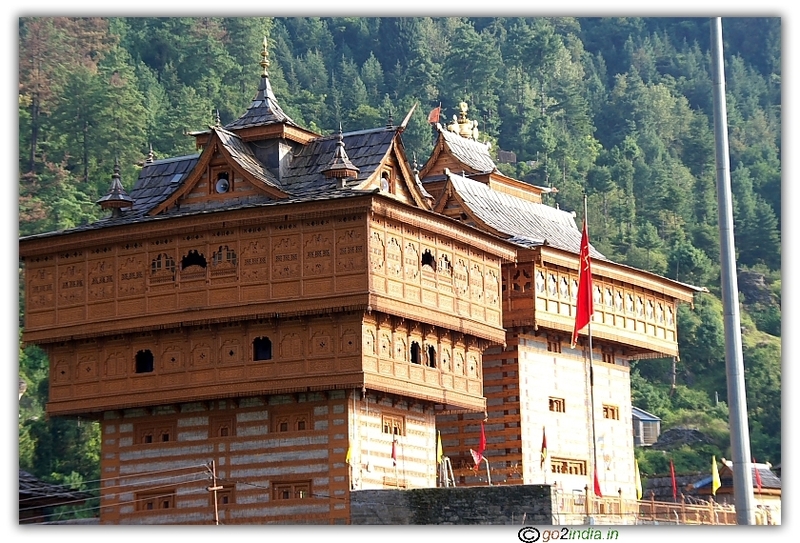 With traditional Kullu carving and wooden arts around the main complex this temple dedicated to Manu Rashi who is known as creator of human race. 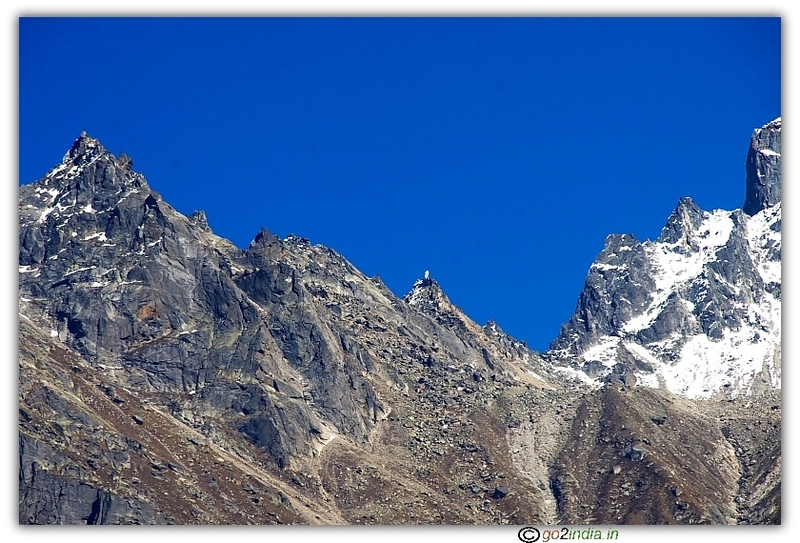 From Old Manali one Trek rout goes from Old Manali to Solang Nala ( 11 KM ) and the other trek rout goes to Ghusal ( 2 KM ) . 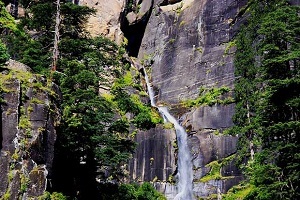 These are small treks and can be easily covered during your stay here.